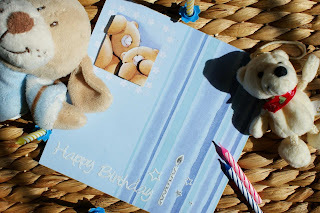 Handmade Happy Birthday card in blue - for boys. 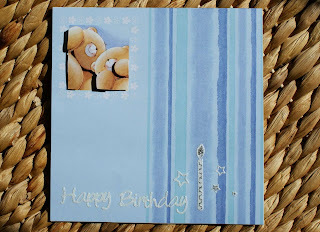 Find the picture of the 2 bears with the blue background. 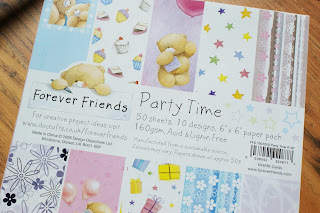 You will need 3 of those. Cut out parts of the 2 pictures (keep the 3rd one on side for now) as shown in the picture bellow. 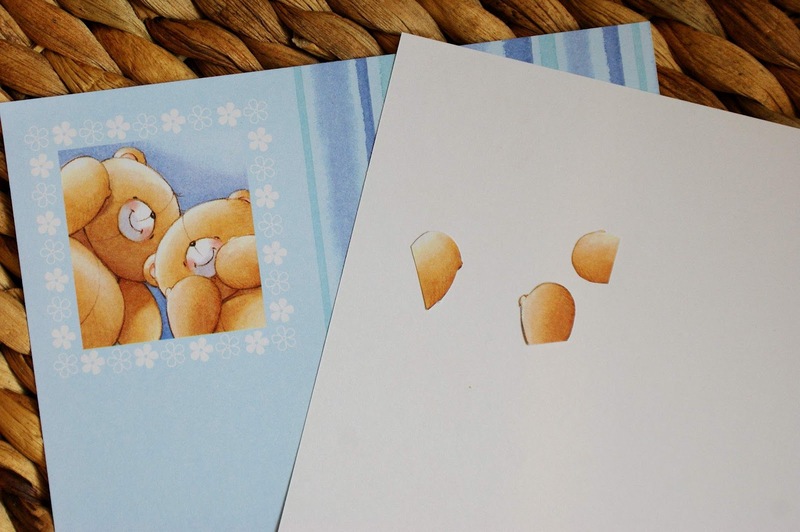 From the first picture cut out an outline of the 2 bears (without the 2 ears and bigger bear's left hand) as shown on the top picture. 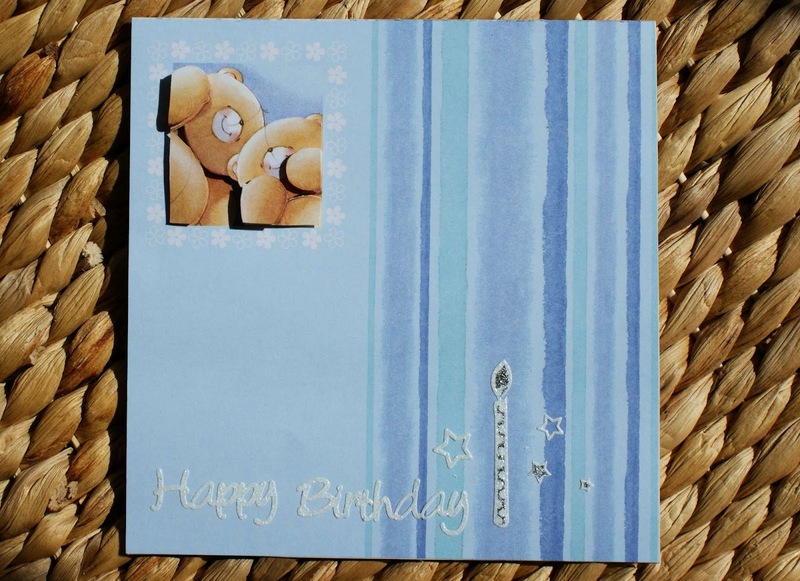 From the second card cut out both hands of the smaller bear and a right hand of the bigger bear as shown on the picture above. 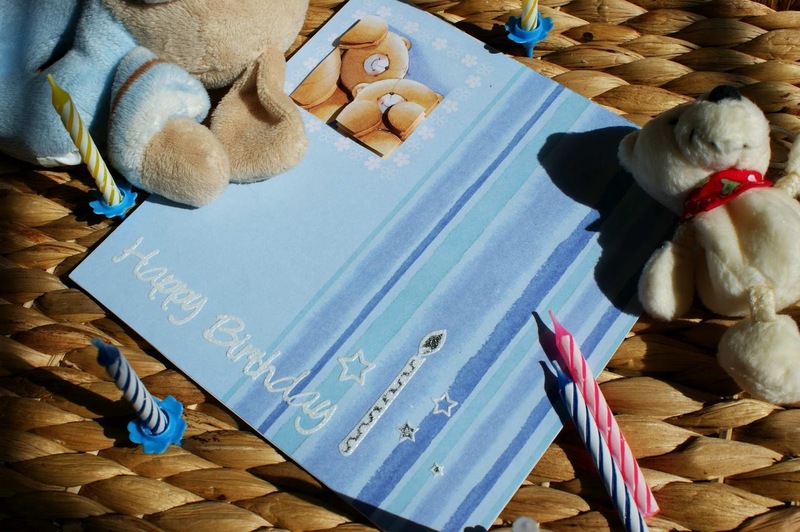 Take white card 15cm x 30cm and fold it in half. 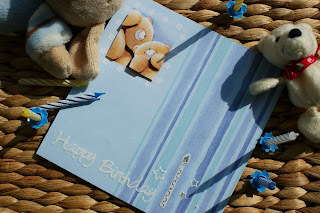 Take a whole picture card of the bears with the blue background and using double sided tape attach it to the white card. 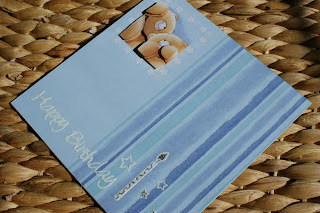 Cut off the part of the picture card that overlaps the white card. Now it's time to use the cut out parts of the bears. 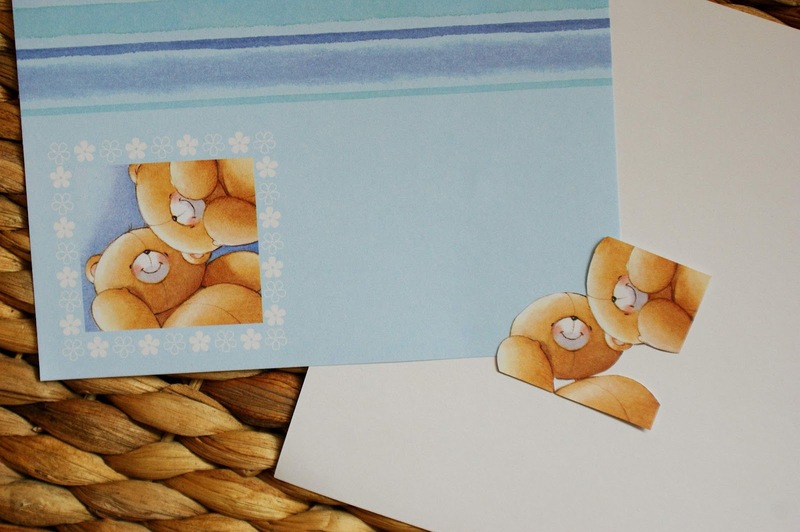 Take the cut outs from the first picture card and attach them to the card over the original picture using foam pads. 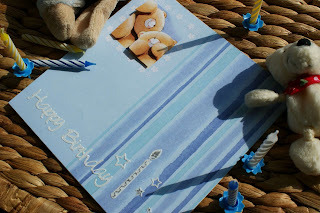 Then take the cut outs from the 2nd picture card and again attach them to the picture on the card using foam pads, creating layers. 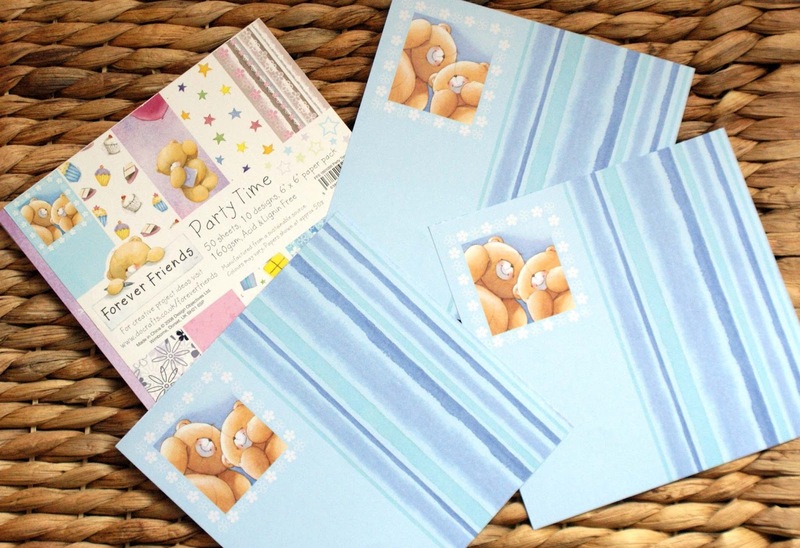 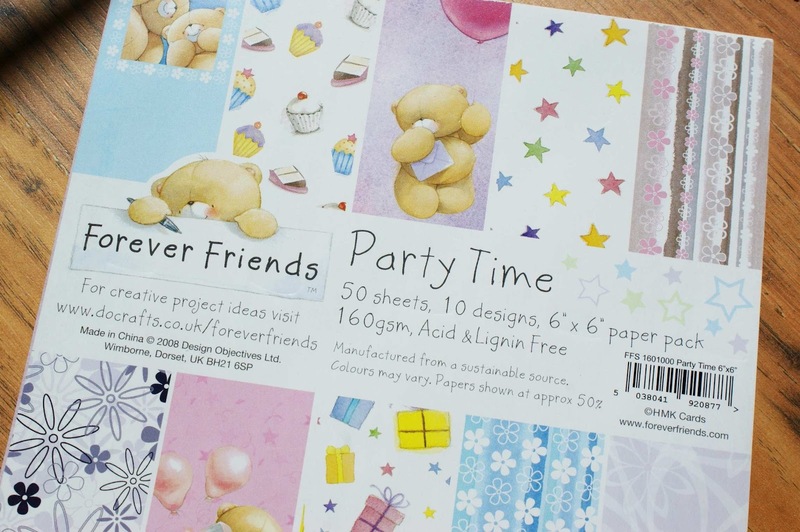 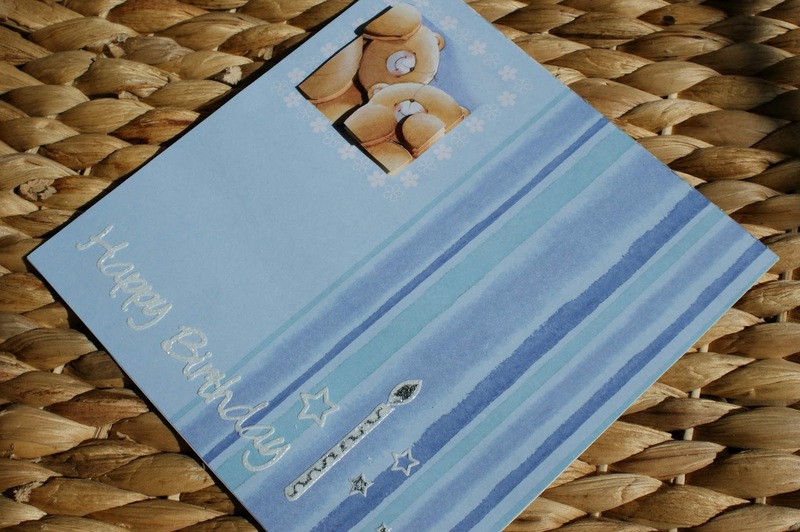 Attach a message outline sticker to the card as well as a candle outline sticker and few stars.